It takes a canny curator to keep tedium at bay in a single-composer recital, and Wednesday night in the Perelman Theater listeners got one. 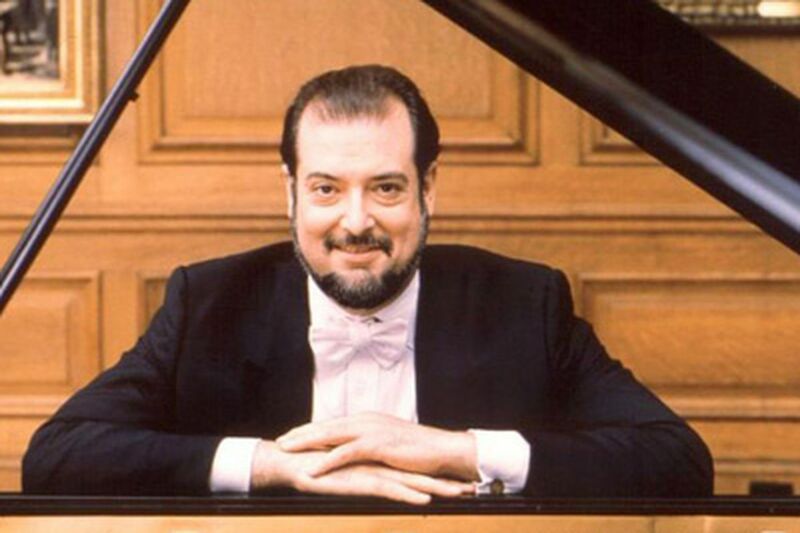 Pianist Garrick Ohlsson chose a slate of Brahms works of great variety from across the composer’s decades. But it wasn’t just what he chose that highlighted Brahms’ scope. Ohlsson is a sensitive thinker, and he hears this music in a larger context: Brahms as music historian and as an artist alive to other compositional voices. Ohlsson caught, of course, the Schumannesque character that runs through the Opus 76 Eight Piano Pieces. The opening of the Variations on an Original Theme, Opus 21, No. 1, sounds like Brahms and no one else, but in one variation in particular Ohlsson emphasized a Beethoven aspect. As a whole, the work has that feeling of somehow encompassing the entire world, as late Beethoven can. In the Ballade in B Minor, you might even venture to say that the degree to which Ohlsson was able to differentiate color was something you’d expect more in Debussy. Expressively, nothing in Ohlsson’s approach to Brahms is extreme. His rubato (stretching or speeding of tempo for emotion) is held in reserve. Still, there are few pianists who have so convincingly mastered the two ends of the emotional scale: finely constructed poetry on one, and thunder on the other. The physicality of Ohlsson in this Philadelphia Chamber Music Society recital was impressive all by itself. In the Variations on a Theme of Paganini, Opus 35, the precision and rigor of certain sections were as athletic tests. Ohlsson’s easy virtuosity with it was almost funny, a visceral thrill. But Brahms is a progressive, too; he is able to capture crowds with tunes and excruciatingly beautiful harmonic changes, but at the same time confound the music theorist for a few bars at a time. Ohlsson didn’t always strike interpretative gold — the Variations on a Hungarian Theme, Opus 21, No. 2, remains an enigma to me. But when he did, it was satisfaction of the greatest kind. These moments came in the Eight Pieces, in the slowly turning music box take on the third (the A Flat Major Intermezzo), the ecstatic heights of the last (Capriccio in A Major), and in corners of many works throughout the evening in which Ohlsson summoned an orchestra’s worth of sounds. The pianist was explicit in the encore about Brahms as student of music history, explaining that Chopin’s Prelude in C Sharp Minor, Opus 45, had been in Brahms’ own library. He once again played the opening of the first of the Brahms Eight Pieces to demonstrate the resemblance to the Chopin. Even without his comments, though, this audience would have arrived at the eureka moment on its own. Sometimes you can just let the music speak for itself. Especially when you’re as eloquent a musician as Ohlsson.